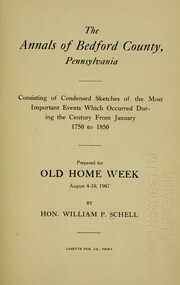 2 editions of The annals of Bedford County, Pennsylvania found in the catalog. Add another edition? 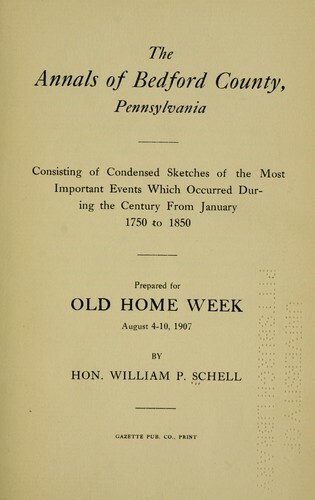 consisting of condensed sketches of the most important events which occurred during the century from January 1750 to 1850; prepared for Old home week, August 4-10, 1907 / by Hon. William P. Schell. Published 1907 by Gazette Pub. Co., Print. in [Bedford .